Being dental patients ourselves, our purpose as a dental team is to treat our patients the way we would want to be treated. We believe in providing dentistry that is functional, comfortable, beautiful, and long lasting. With compassionate, gentle care, we aim to deliver this treatment in a clean, calm, and caring environment. We will go the extra mile to make it easy for people to get the dental care that they need and want. Dr. Carolyn Yu graduated from UCLA School of Dentistry in 2004, and finished a general practice residency from the Veterans Affairs Medical Center in San Francisco in 2005. 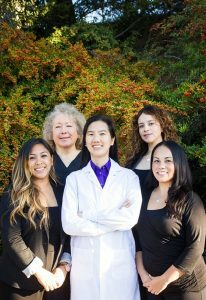 Dr. Yu has been in private practice since then, and she is very happy to be practicing in Pinole. Dentistry intrigues her because she finds it the perfect blend of science and artistry to create beauty. 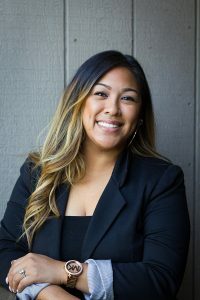 She was elected to be on the Contra Costa Dental Society Board of Directors, where she is currently serving as a District Representative. She also serves on the Peer Review Committee of the Contra Costa Dental Society to help uphold a high standard of care for dentistry. She is an active member of the California Dental Association, the American Dental Association, and the American Academy of Cosmetic Dentistry. In her spare time, she enjoys cooking with her husband and spending time with friends and family. Our dentist in Pinole, California, works with our dental team to provide patients with excellent dental care. Our friendly, professional team members go above and beyond when serving patients with the treatments that improve oral health. Take a look at the biographies below to learn more about our dental team. Jessica began her career as a Registered Dental Assistant in 2003, and has been with our team since early 2016. She enjoys being part of a team that shares the same vision and is all on the same page when it comes to serving and putting our patients first. Her organization, communication, and effective implementation are key contributions to our practice. Jessica’s 13+ years in the dental field have taught her to be proactive and prepared when it comes to running a dental office. Jessica loves sports, cosmetology, and fashion design, and she coaches a local youth basketball team. Her family are her motivation, giving her the strength and support to strive and work hard every day. Sherlyn is a Bay Area local, born and raised in Richmond, California. 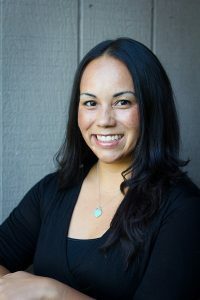 She is a graduate of Richmond High school, and gained a strong customer service background prior to beginning her dental career. The best part of dentistry for her is treating patients the way she herself would like to be treated. Sherlyn is an avid music lover and also enjoys hiking, going to the beach with friends, and spending time with family. Heidi was born and Raised in Vallejo,CA. After graduating from High School in 2002, she enlisted into the U.S Army. She served for 7 years and separated from the military as a Sergeant. Following the military she obtained her bachelors degree in Biology from SFSU an associates degree in Dental Hygiene from Cabrillo College and a masters degree in Dental Hygiene from UCSF. She is passionate about getting to know each of her patients and identifying each of their unique needs in order to better the health of their oral cavity. In her free time she enjoys spending time with friends and family. 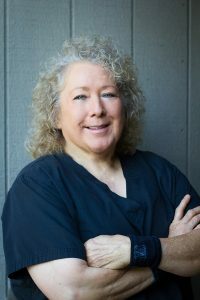 Chrystine has been a dental hygienist for over 30 years, and enjoys interacting with patients and educating them on improving their oral health. She loves the healing aspect of her chosen profession. In her spare time, Chrystine enjoys surfing the Amazon (that is, amazon.com! ), cooking, and spending time with family and friends. She is also an avid reader and likes to go to the gym.